You don't need to have sewing skills or experience to make a personalized bag with the colors, materials and dimensions you want. Today, I am going to share instructions on how to make a computer sleeve; which can be also applied to make a wallet, purse, or a clutch. My project inspiration is my new baby: an 11" Macbook Air. I love it! I had to make something special for my baby. A chic outfit with some personality to accompany me for couple years. I have never made a bag before and as you know from my previous sewing project of an infinity scarf, I don't have a sewing machine. This is absolutely new for me. If you are in the same circle, don't worry! You can do it!!! My journey started in my neighborhood Jo-Ann store. I found this creme leather like fabric (vinyl) in the clearance section. I also grabbed a hole punch, soft suede ribbon, fabric glue, and some faux fur after couple hours of walking through the isles back and forward. Here is the simple tutorial for this stylish computer case. I will give the instructions for the MacBook Air but; you can make it to any other size you would like to do. Step #1: Cut the fabric into a rectangle(34cm L x32cm W). Then, fold it like an envelope leaving 13cm for the flip of the bag. I put a tape where I folded it so that it doesn't move around. Step #2: Measure 1cm from right and left sides. Draw a straight line with a pencil to guide you while punching your holes. Step #3: Put a small mark to each 1/2cm with a ruler again. You will be punching where each dot it. Step #4: Punch a hole to each mark- 1/2 cm apart from eachother. 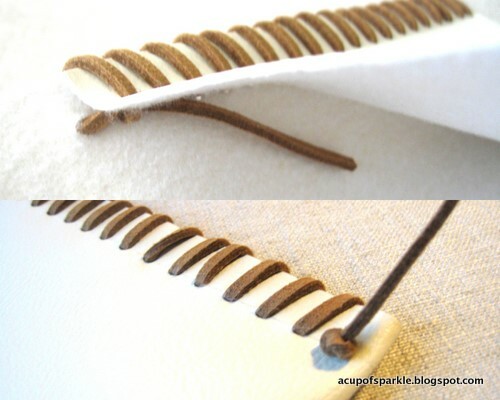 Step #5: Now, you will pull the thread - in this case a suede thread, through the holes. You can use ribbon as well as fabric. Make sure to tighten the thread each time for an uniform look but; do not tighten it too hard that the leather folds on the sides. Step #6: Knot the end of the suede in the lower back side. For the top section, I hided the suede inside the bag and put a little glue so; it doesn't come off. 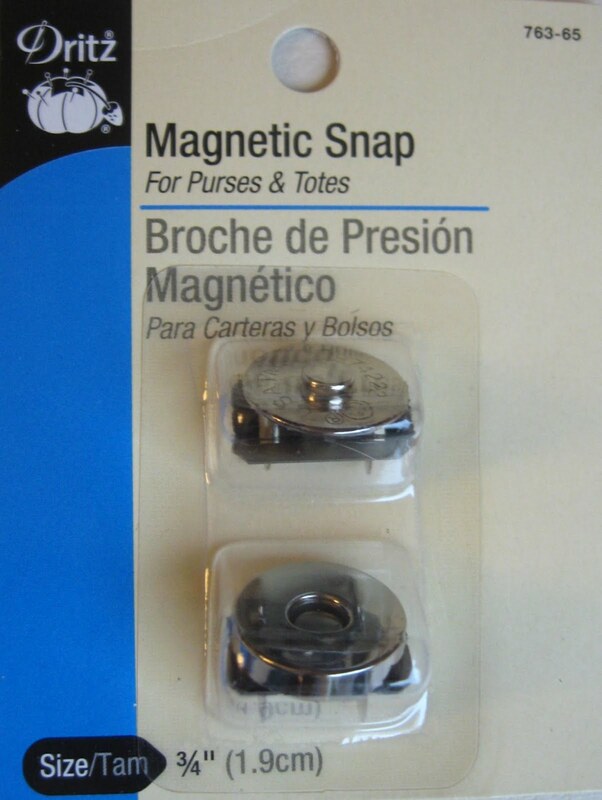 Step #7: Decide where you want to put your magnetic snap. Mark the areas with a pencil. I put the laptop inside the case while doing this. Because, the thickness of the computer does shift things a little. Make two small cuts and place the magnets on the top and the bottom. 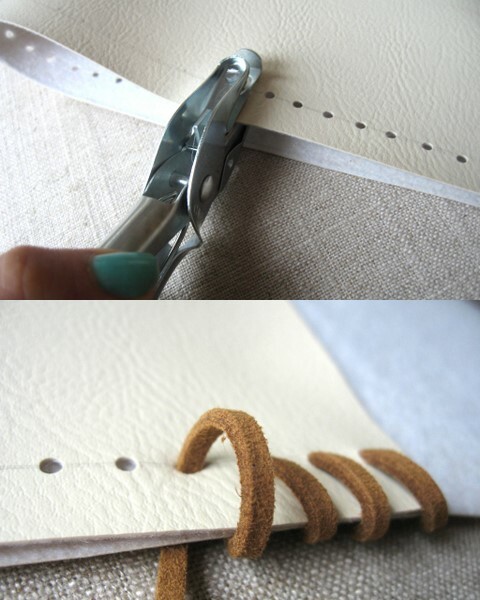 Secure it tight using something hard such as the tip your hole punch. Step #8: Your computer case is complete. It only needs some accessorizing at this point and your options are limitless. You can design it in any way you like; add a broach, glitter,... it is time to be creative! I am into fashion. This year; flowers and leopard fur is very trendy. There is still time for winter though.That's why I am going to plan a winter version of this case as well as a fall version and change it when the temperatures drops a bit. I am excited to hear if you liked the fall or the winter version better??? 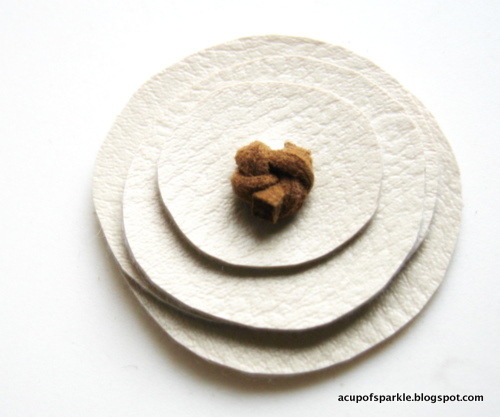 Make circles - my circles are kind of oval shaped. Punch holes inside them- some centered, some not. Punch two holes in your largest circle. 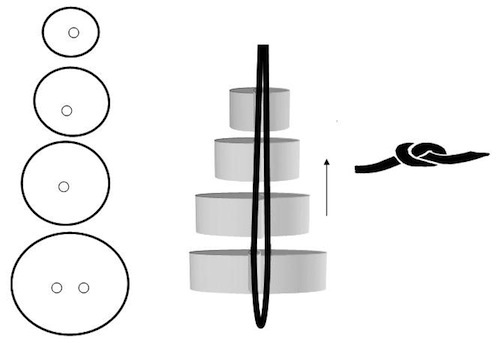 Pull the suede thread through the holes as shown in the figure in the direction of the arrow. Make two knots at the ends. Cut any remaining thread. Glue the flower on the bag. Winter Verison: Leopard!!! Isn't that just gorgeous? Cut a leopard fox fabric same dimensions of the seal flap (32cm L) Glue it using a fabric glue. Please let me know if you are planning to make one or if you have any questions. I would love to know your thoughts or any ideas you have. I love this! It's so cute. This technique would work well for different types of sleeves and bags as well. This is great, love it!! Such a fun look! I love no-sew projects! This is fabulously easy. Great work! This is gorgeous! Fantastic job! I just love it! 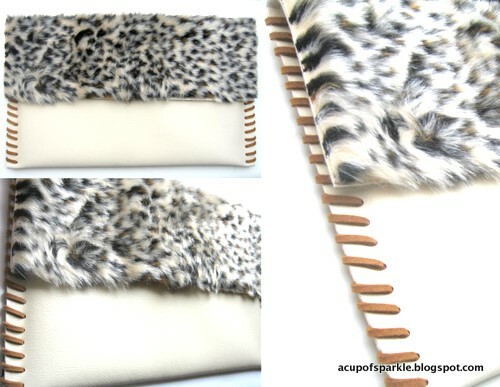 This is so cool and I love the fur :) I love that it doesn't require any sewing!!! Thank you for sharing this! What an easy tutorial for something so beautiful. It's awesome! I love the winter look with the fur. Gmyle macbook sleeve case is perfect as it is slim and fit for the macbook and is easy to carry around while traveling. 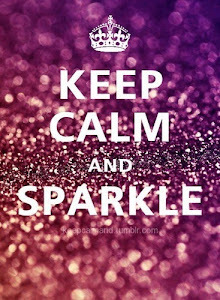 Fall Sale from A Cup of Sparkle!!! How to wear a brooch? Ways number 1 to 3.